Deputy foreign minister Ambassador Daniel Raimondi headed the ceremony which included the chief of Argentina's Antarctic Institute, officials from Defense and other ministries and military staff. According to what was reported during the event, the Argentine Antarctic Institute has 49 scientific projects ongoing in different areas, involving Argentine investigators, invited foreign scientists as well as from different Argentine universities. Scientific activities and research projects are done in the Argentine bases, special camps and in the icebreaker, which had its labs' capacity considerably increased as part of the refurbishing and updating of Almirante Irizar. Ambassador Raimondi underlined this was the second season for the refurbished flagship of the Argentine Antarctic Program, which plays a leading role in the defense and support of Argentina interests and rights in Antarctica. The deputy foreign minister recalled that the first Argentine Antarctic base was set up in 1904 at the South Orkney islands; the first Argentine women scientists arrived in Antarctica fifty years ago; the first Latin American to reach the South Pole, and the first Antarctic research institute was Argentine, the Argentine Antarctic Institute, which is as strong as ever. Ambassador Raimondi praised the Antarctic Institute scientists for implementing Argentina's Antarctica policy, underlining that science and research are to the heart of the 1959 Antarctic Treaty and Argentina's commitment. He also had a special mention for military personnel which is responsible for the necessary logistics support for the science research activities. Our current Antarctic staff are carrying on with Argentina's state policy, which was gloriously launched 115 years ago, and whose everyday efforts pay tribute to the brave 44 Argentines who honored our country, the heroes of ARA San Juan, Raimondi said. 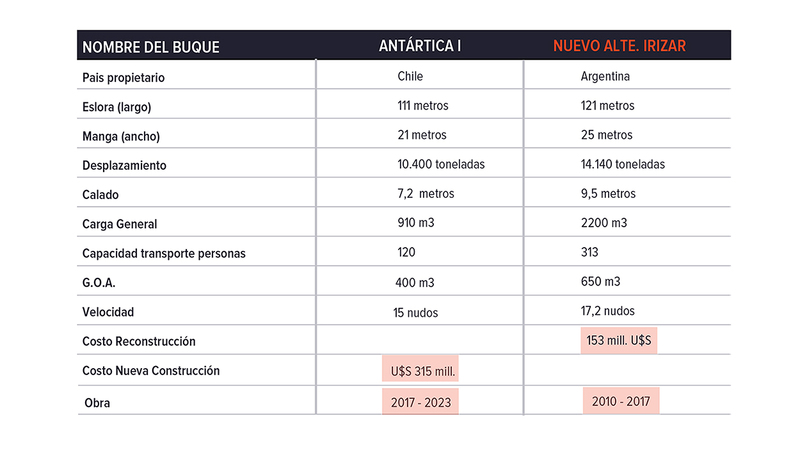 The Foreign ministry through its Antarctica Desk is responsible for programming, planning, coordination, direction and communication of Argentine Antarctic activities, elaborating the Annual Antarctic Plan which includes all the scientific projects from the Argentine Antarctic Institute. Categories: Environment, Fisheries, Health & Science, Politics, Antarctica, Argentina. Tags: Antarctica Summer Campaign, Antartic Treaty, ARA Almirante Irizar, Argentine Antartic Institute, Daniel Raimondi, Icebreaker ARA Irizar Argentine, South Orkney Islands. Perhaps the final answer is that they should have scrapped this vessel and purchased another unit, more than likely in far better shape, far more updated and again above all at a lesser cost. Not forgetting to add the cost of hiring suitable vessels to cover the time the Irisar was out of commission.